The art scene in St. Louis is phenomenal. Between each of the excellent art museums, studios, and events, St. Louis has no shortage of incredible artists. Every once in a while I have the chance to work with local artists and it's always great. Yesterday I had the chance to meet up with Jacob Overstreet who creates powerful pieces of art that tug at your senses and pull at your heart strings. His work is mind boggling, engaging, and enriching. His work asks that you take a step closer and analyze your connection. I've had the opportunity to see his work in person when it was exhibited at Florissant Valley Community College some years ago and have been a fan ever since. Given my interest in his work, I was incredibly honored to be chosen by Jacob for some portraits. 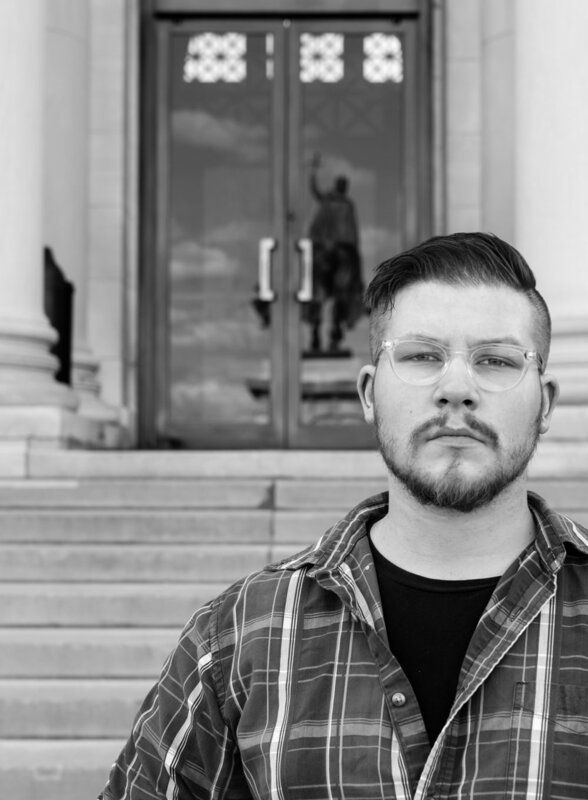 With my camera in hand, I met up with Jacob on the front steps of the St. Louis Art Museum. The light had receded behind the massive structure, which gave us plenty of room move around, try different angles, and walk away with some awesome pictures. Check out a couple of the shots we got, and if you haven't, check out Jacob's work over at jpoverstreet.com.